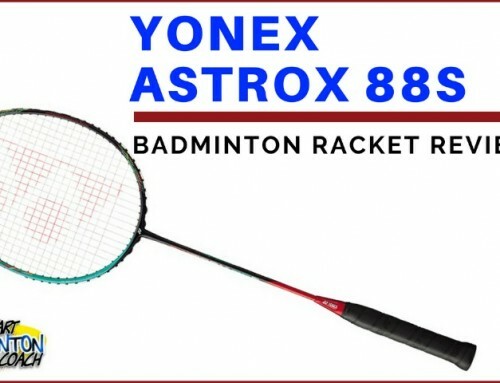 As I work for a badminton retailer, I am occasionally asked to review other manufacturer’s racquets. 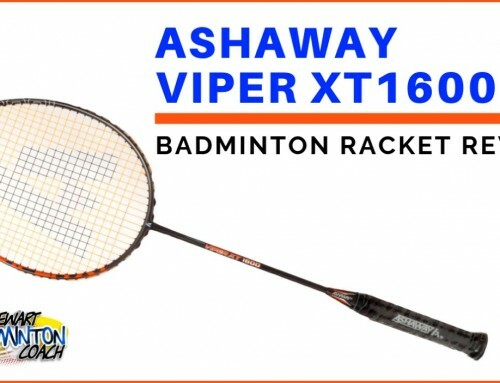 Against this backcloth, I recently tested a Victor Bravesword 10 badminton racquet and got a huge surprise. A few years ago, the Victor brand was extremely small in the UK, mainly considered a European brand. We knew very little about their products and level of quality. That changed just over a year ago when it was announced that they were the new sponsors of the Korean National Badminton Team. This was a serious leap forward for Victor and ultimately gave them an international seal of approval in terms of quality. 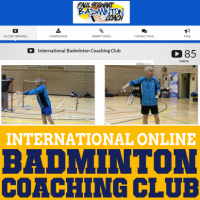 After all, if a racquet is good enough for Lee Yong Dae, current Olympic Mixed Doubles champion and World Men’s Doubles Silver Medalist, and his team, then it must be good! 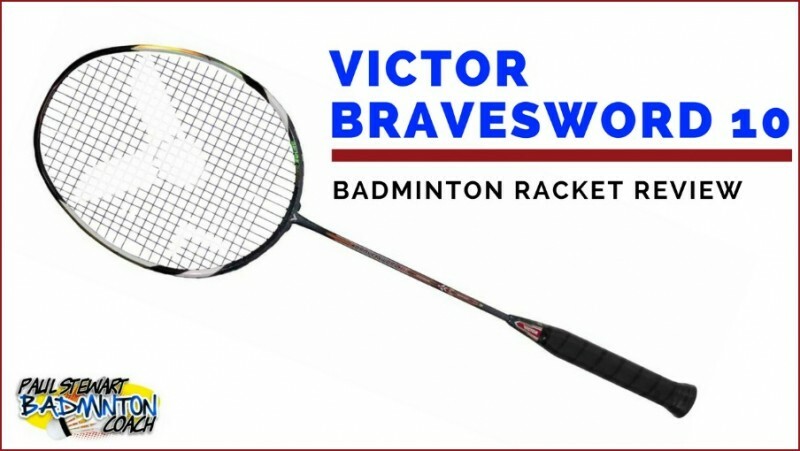 The Bravesword 10 is the “second” racquet in the Bravesword series, the cream of the Victor badminton range, sitting either side of the 9 and 11. It’s a good looking racquet in charcoal grey, with flashes of red, white and what looks like a hologram strip along the side of the head. It arrived in a full length bag in red with the name on the bag to differentiate it from the 9 and 11. This is a high quality full-cover bag too, nothing flimsy here. Grip size is G3 which is the smaller of the two grip sizes on Victor racquets. It’s equivalent to a size 3.5 inches or Yonex G4, which is a bit confusing. Weight is 86g. 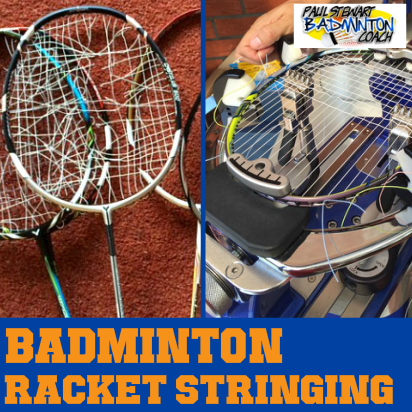 Interestingly, this racquet has a maximum recommended stringing tension of 30lbs so it’s got to be very strong and should be extremely popular in the Asian market where strings tensions are so much higher. This is a fairly even balanced racquet, slightly head heavy, but not too much. The shaft is designated stiff. Usually when I test and review racquets, I like to play with the racquet factory strung. On this occasion, the Bravesword 10 had been custom strung to around 26lbs. Rather than be disappointed, I was absolutely delighted and you’ll see why when you read on. Bravesword technology revolves around the shape of the frame – which is actually the shape of a sword. And this racquet certainly sounds like one as you can hear it cut through the air! Do you ever pick up a racquet and just know it’s going to be good? When I walked on to court with Bravesword 10, I had one of those moments. The first hit confirmed that this racquet had that special quality. Clears were effortless and there was plenty of touch for drop shots. The racquet really cuts through the air quickly which allows for great speed, although the control is still there. The string tension felt “right” for this racquet. Sometimes they can be strung too tight that it’s harder to generate power. 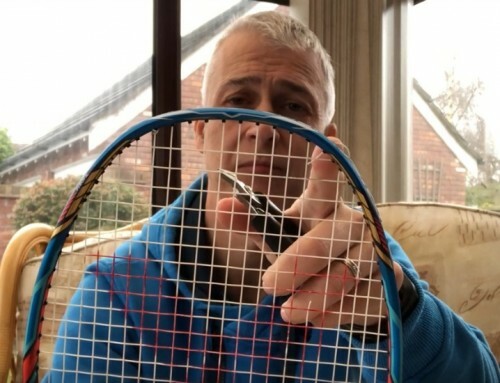 It would be exciting to experiment with string tensions on this racquet as I feel it’s got even more to offer. There’s a little weight in the head, which is good as you can feel the flow of the racquet in the swing, and enhances performance and control. The combination of the air resistance qualities of the racquet, the stiff shaft and the slight weight in the head, generate a lot of power. Yes, this is definitely a powerful racquet. Defensively this racquet was easy to use. Again, the air resistance qualities of the head made the racquet easy to manoeuvre and the slight weight in the head was insufficient to counter this speed. In fact, the combination worked very well indeed as you felt there was some meat behind drive returns. A racquet that performs well in defence always performs well around the net area. After all, we’re talking about generating controlled racquet speed here, in very short bursts with the slightest touch for the really tight net shots. Again, BS10 was outstanding. It’s been a long time since I’ve had the pleasure of testing another manufacturer’s racquet of such quality. The Bravesword 10 was outstanding in every area I tested. RRP is £109.95 which is incredible for a racquet of this quality. Retailers will discount to under £100 so you’re getting an absolute bargain here. The Bravesword 10 has the accolade of being my first 5 star racquet in the Victor range and also my first 5 star racquet out of all the other manufacturer’s ranges I’ve tested. Credit to Victor here for producing such a brilliant racquet. There’s no question that the Victor brand is now world class. Whilst it’s relatively unknown in UK at the moment, I’m sure that their quality and pricing will easily find a way into the market. You’d be wise to test Victor’s Bravesword 10 if you can find one, because this level of quality deserves a place next to the most well-known brands. Thank u so much Paul. the information u gave me was useful. from now on, i will try ur exercise and see what happens. Hi there! i read ur reviews about raquets and like it so much. but, i had one question about bravesword10. u mentioned that it has a little weight on the head. when i go to online to buy this raquet, it says even balance. so, i m a little confused. one more question- is this raquet stiffer than the voltric 80 and how would u compare these two raquets? i already have voltric80 and bravesword11. but, it is really hard for me to control voltric80 where bravesword11 was way easier. i m trying to buy bravesword10 and i need ur recommendation and advice. i know it depends on individual to decide which raquet is good for them. but, at least i need some ideas from u that i can put my own thought and decide. i mostly play doubles than singles. it is ok for me to play with same raquet. thank u. When I tested BS10, specs from Victor weren’t as clear as they are today. That’s why i felt it was slightly head heavy. Also, Victor have since improved their technical data. Some would say they also changed the specs on BS11 which makes comparisons harder. What I think is happening with you is that you like the feel of BS11, especially after playing with VT80. The move from head heavy to a lighter frame means you have more control and speed. Why not try my armchair exercises first and then test VT80 and see if there is a difference. Personally I feel BS10 is a class act. It’s not easy to find in UK, although I know where to buy it. I still recommend BS10 for players to try. I got one question for you. Which racquet is better, BS10 or BS11? What is it’s difference actually because the price is almost the same. Which one you prefer more? This is a frequent question. Please read my article on choosing a racquet for a full response. Essentially there is no such thing as the best racquet or even better racquet. In this case both racquets are very good but they are different. What suits one player will not suit another. So the best racquet is the only that YOU feel most comfortable playing with and nobodys opinion counts here except yours. 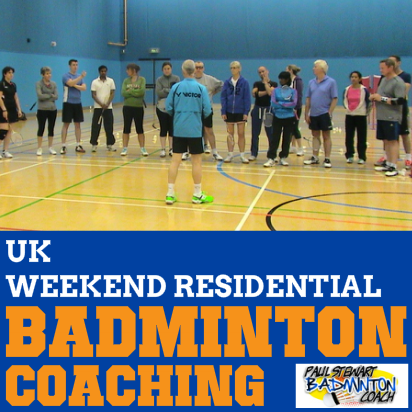 So borrow friends racquets and try them and hopefully you’ll feel sufficient difference and choose from there. i got the bs 10 3 weeks ago.. strung it with bg66 ultimax at 28lbs. the first week i got it, it feels wonderful as everything i wanted to do seems to works. But after the 2nd week, i cant really generate power from it and also theres alot of miss hit from it. my defense is also poor as i tend to miss clearing the shuttle. have u encountered any problems like this? maybe i need to lessen the string tension or change my grip? i was using at900t before this and didnt have problem using it. Interesting problem. I had never come across this before with a Bravesword racquet. When you played with AT900T, was it also strung at 28lbs and if not why did you change tension? Generally, BS10 plays very fast so it’s great in defense. My instinct is telling me that the stringing has something to do with this racquet suddenly not performing. I was able to get a good deal on a BS10 so I will try it out and will post my findings here. BS10 is an exceptional racquet in my opinion. I still can’t understand why Victor are not promoting it anymore. Hopefully a combination of new racquet and my armchair exercises will really solve your problem. Same question as above, how would you compare this to the 8DX? Tough question. Having used both I still feel the Bravesword technology cuts through the air better. It’s really down to you. My preference would be BS10 because of the easy way it handles. It kinda makes the 8DX feel a bit “boxy” which is a shame because it’s also a great racquet. I recently sold my Arcsaber 8DX to a friend. Now i’m looking for a replacement racket. 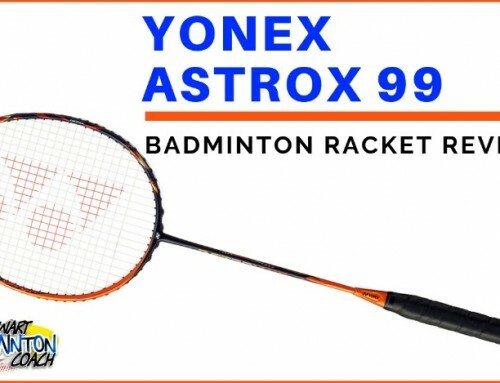 Would you suggest this racket as a replacement for my 8DX. I consider myself more of a defensive player but starting to attack more so I would need help from the racket to generate more power. Again a nice review. Here in Belgium the Bravesword 10 and 11 costs more than the top of the Yonex range. Have you tested also the Bravesword 9? Bravesword 9 is also a very good racquet I’ve yet to have the time with one to write a review, but expect it will happen very soon. Any update on whether you might get the Bravesword 9 for a review possibly? Definitely be great to finish off the BS series of reviews and compare overall. Have you tried a Total Inside Wave Slim at all? Great review of the Victor Brave Sword 10 and all the other Victor racquets. 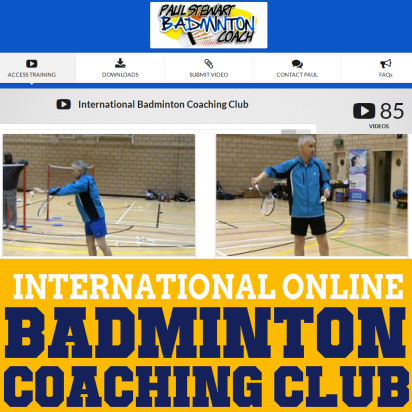 From your reviews, it looks like Victor are a very good brand and the racquets are less expensive than Yonex, so might switch over to Victor. There is one thing I noticed though in your review, you said the Victor Brave Sword 10 was your first 5 star rated racquet, but I’m sure you rated the Armortec 600 5 stars as well? If you read again you’ll see that i say that this is the first other manufacturer racquet to gain a 5 star rating i.e. non-Yonex. Yes, i did rate At600 5 stars too which was the first 5 star rating I’d giiven. I’ve seen some of your videos on youtube, your a good coach I learned quite a bit from you. Well i’m searching for my first high end racquet and i came across your Yonex Arcsaber Z-SLASH review. I was impressed until i read this Victor Bravesword 10 review. So which raquet is better Arcsaber Z-SLASH or Victor Bravesword 10? I know it depends ultimately on my comfort but i just need an extra nudge to make a decision. There are pros and very few cons on either of these racquets. I was disappointed that the Z Slash took a lot of getting used to. i test a lot of racquets and experienced this for the first time. I’ve only had that experience once since. If you can master Z Slash, then it’s power is awesome. It’s more powerful than Victor BS 10. If I really had to choose between the two racquets, then BS10 would edge it for me on the strength of its ability to do everythng extremely well. As you know, I always say that the best racquet for any player is the one that feels like an extension of your hand. Sometimes choosing a racquet is hard and you have to take the plunge and learn the characteritics of a good racquet for your type of game. Then it’s easier to narrow down the choices. How about Victor Spira 21 comapre with BS10? Which one is equivalent or better if compare with Nanospeed 9900? I will be reviewing Spira 21 next week, so watch out for my review. All the while I am have been using Yonex racquet (alomost 13 years). My current model is Nanospeed 9900 with 27lbs of Nanogy String 98 (0.66mm). Unfortunately, my racquet will be ‘cracked’ anytime after hit by my partner (playing doubles game). 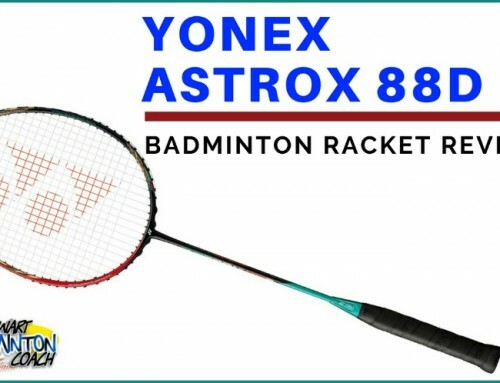 I intend to search for other non-Yonex product. Based on your details review and you have rated Bravesword 10 as 5 star racquet. How the quality and performance of BS10 compare with Nanospeed 9900? As you can imagine, Yonex quality is outstanding and there are very few manufacturers that can equal this quality. I believe Victor are one of those manufacturers. Both racquets are top of the line. Choosing between these two racquets will depend of your likes/dislikes and also your style of play. If you are very defensive then Nano9900 is a faster racquet. If you have a powerful smash too, then Nano99000 should be the racquet for you. But, if you want an A+ all round racquet that does everything exceptionally well, then BS10 will deliver.